Cream with multiple Cosmetic functions. 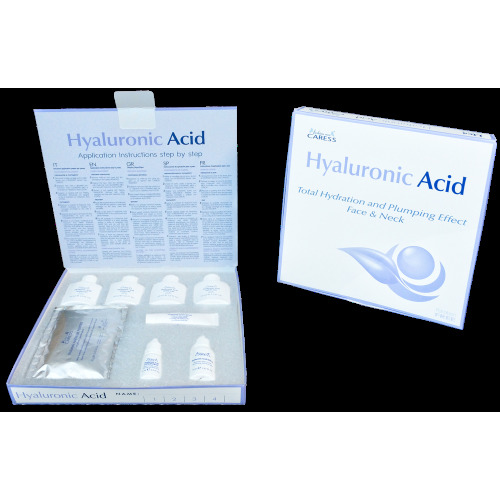 Profound moisturizing and smoothing effect of Hyaluronic Acid. Gentle exfoliation of the superficial layer of the epidermis and the stimulation production of collagen and elastin, thanks to the presence of Glycolic Acid. The Argan Oil and Avocado Oil bring nourishment and hydration to the skin. The constant use of hyaluronic acid exfoliant cream restores the skin a bright and uniform aspect, the skin appears smoothed and hydrated. Contains UV filters. Use: apply on cleansed face and massage until absorbed.